Magura 1893 Collector’s Edition MT7 with HC3 levers. 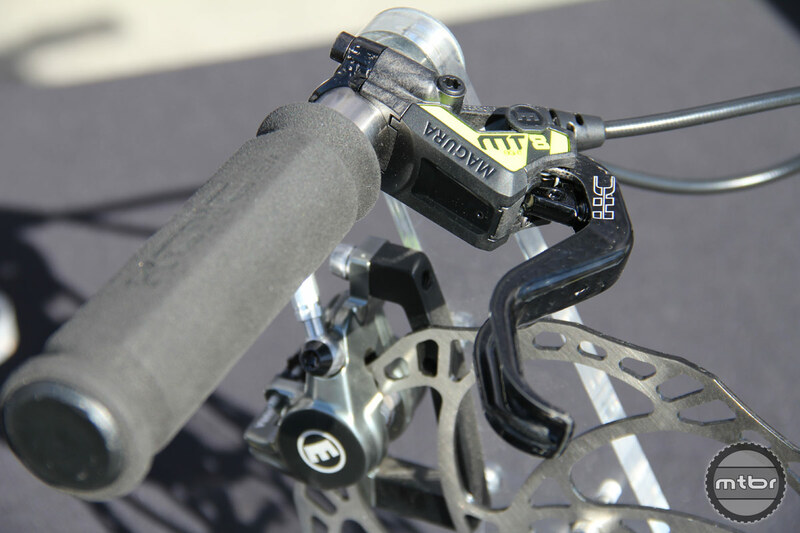 Magura has updated multiple product offerings for 2018. Arguably the most noteworthy is their 1893, a collector’s edition MT7 brake that features the HC3 levers and a sparkling chrome finish. The name highlights their 125 years of making brakes. Price is $599. 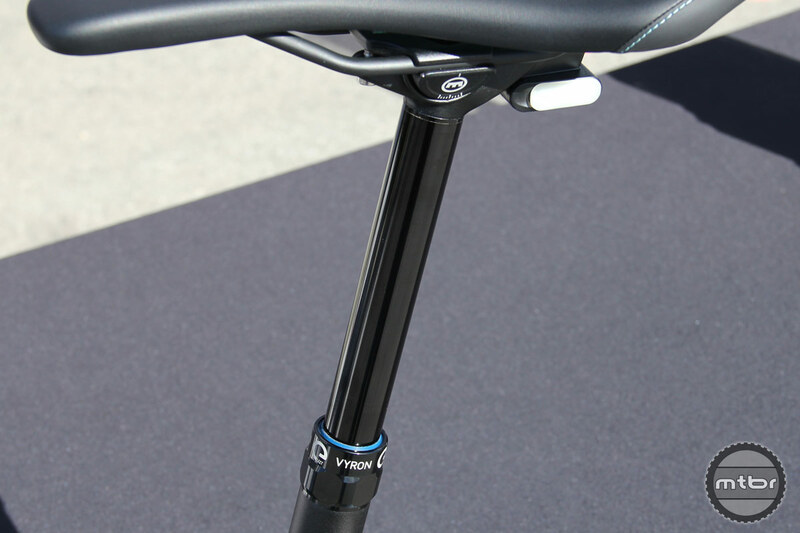 Also noteworthy is their wireless Vyron dropper post, which is bar none the easiest dropper to install. There were some initial issues, but Magura says those have been addressed. Operation is now 25% faster thanks to a change in internals that allows the valve to open more quickly. 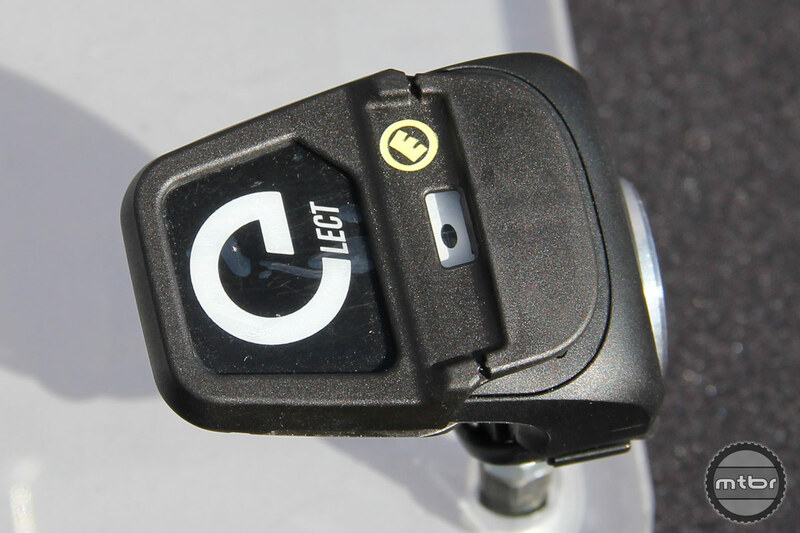 Magura claims they’ve achieved solid performance during extensive testing (including in freezing weather), and if things do go awry the default position is up so at least you can finish your ride. The Vyron’s remote also got an update in the form of a cover that masks the two additional buttons, which are not applicable for most riders. And the contact point is larger to lessen operation confusion. Magura offers the Vyron in 100, 125 and 150mm lengths for 30.9 and 31.6 diameters. Price is $419. 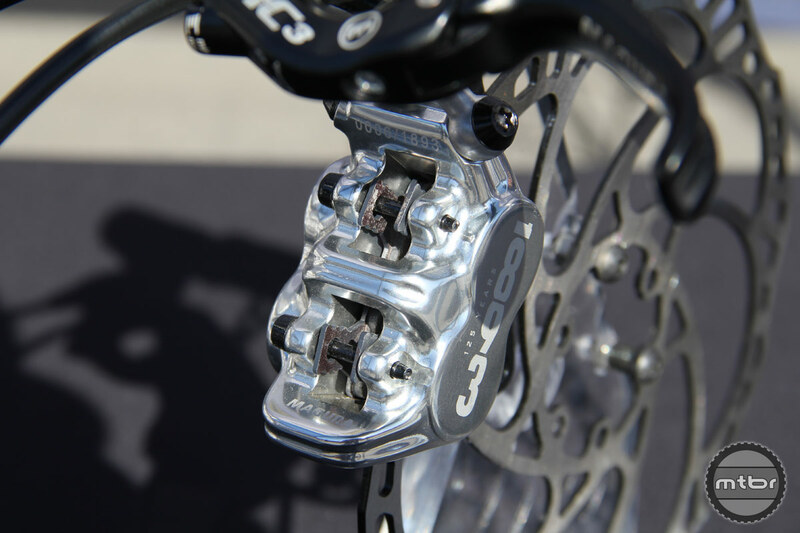 Lastly, the MT8 SL XC race brakes have been updated with a one-finger carbon lever, which also targets riders with smaller hands. The levers weigh a feathery 12g per lever. Price is $285. 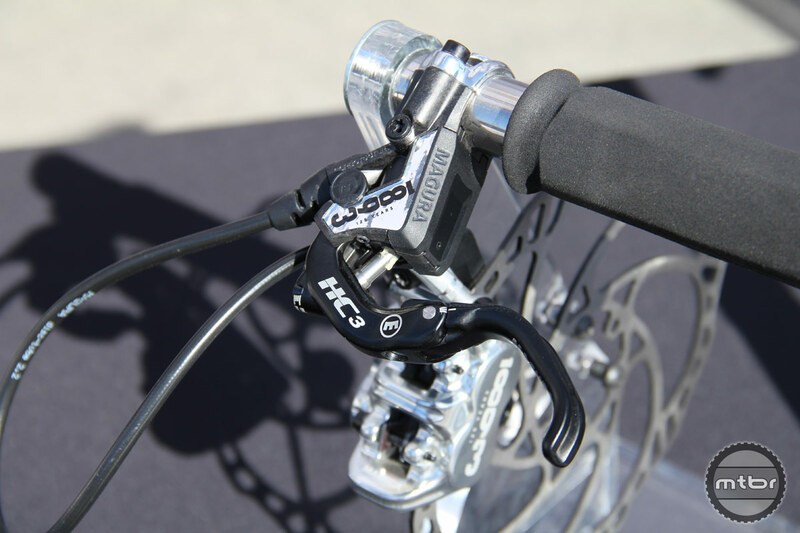 This update highlight’s Magura’s mission to customize brakes for what the rider wants, with multiple lever options, caliper/piston combinations, and even colorways. Find more information about Magura at www.magura.com.